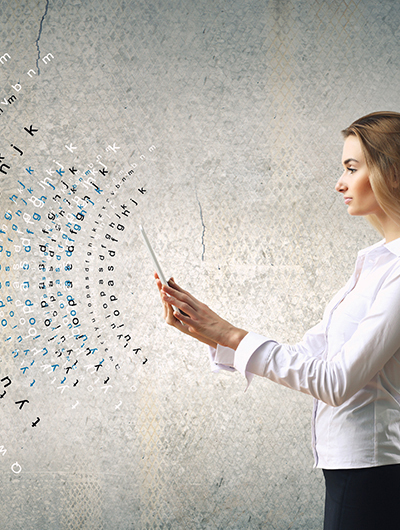 To help drive sales of our data portfolio forwards through sales enablement, influence and help define our data product strategy. This is a permanent, immediate, full-time position – salary commensurate with experience and is Exeter based. This key role is to support the field and office-based sales teams in the design and presentation of cloud and on-premise data solutions and involves working with our prospective customers and our installed base as well as with internal departments. As a member of the presales team, you will be the lead presales on nominated products/technologies, as well as being cross trained to provide support on other products as required. However, the primary focus of the role is for a solution specialist on data network solutions as we strive to expand this side of the business. Support field sales in customer meetings and assist with technical presentations and demonstrations to prospective clients. This could involve liaising with customer IT teams to understand their ICT environment and how that will influence the proposed solution. Attend manufacturer presales events as required and communicate information to relevant staff. Please forward a covering letter with your CV along with references and salary expectations to colin.woods@swcomms.co.uk so we can get in touch with you. Desired skills: Cisco CCNP R&S, Cisco CCNP SEC, Cisco-Meraki CMNA, Cisco SMB R/S & WLAN, VoIP Network Readiness, Ideally with multi-vendor experience. swcomms has an exciting opportunity for a network support engineer. You will need to be a self-starter and have at least five years of experience working in complex WAN/LAN/WLAN & VoIP ready environments. Daily tasks will include direct customer support working on Cisco routing, switching & security equipment while actively supporting our IP PBX teams. A solid understanding of TCP/IP is a must. WLAN experience is also required with a preference for Cisco Meraki, Ruckas or Alcatel-Lucent/Aruba. This role is to provide advanced technical break/fix and day-to-day change support for our customers as part of our managed solutions offering. Document your day to day work in detail via our bespoke fault ticketing system. If our Network Support Engineer role is of interest, please forward a covering letter with your CV along with references and salary expectations to Juliette.Brooking@swcomms.co.uk, so we can get in touch with you. We have an opportunity for a field sales executive to work from our satellite office in Portchester (near Porstmouth) who will work throughout the south of England including Dorset, Wiltshire, Hampshire, West Sussex, Surrey, and Berkshire. Previous experience of business to business sales a pre-requisite along with excellent communication skills, a willingness to learn and good ability to close a deal. The remuneration package will include a fully expensed company vehicle, uncapped commission and good salary dependent upon experience. Main purpose of job is to build the client base of swcomms services and associated products within the Southern Region, be responsible for opening new business, driving sales activities in assigned accounts and geographic area, ensuring quality and consistency of service/delivery and increasing company revenue and profits. To present and sell company products and services to current and potential clients in line with set targets. 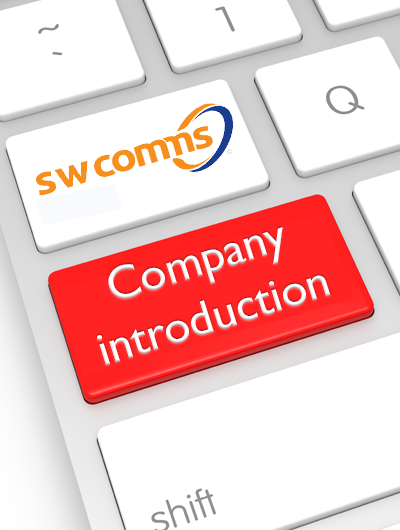 swcomms has been established for 35 years, is head quartered in Exeter and is the largest independent communications business in the South West. The company has grown its business on the basis of excellent customer service underpinned with unparalleled levels of technical knowledge and experience, allied with the right products and partners. Please send a covering letter with your CV to Colin.Woods@swcomms.co.uk. A position has become available for a Project Co-Ordinator within our project management team. This role will involve the successful candidate liaising with our internal team to deliver multiple communication solutions. Responsible for the accuracy of administration and data input across all project delivery. Responsible for the planning and best use of all applicable resource. To ensure supplier delivery timings are on point and to be responsible for escalation processes to be followed when required. Responsible for the communication process to your customers from start to finish. Responsible for delivery of your orders / projects, and to be on time and within budget. To be focused on departmental targets being achieved. Ensuring the highest level of customer service is applied throughout. To engage in team approach and maintain a positive working attitude. Please send a covering letter with your CV to Matt.Hooper@swcomms.co.uk. Please favourite our careers page and follow swcomms on Twitter, LinkedIn and Facebook for our latest news and announcements of any upcoming positions.